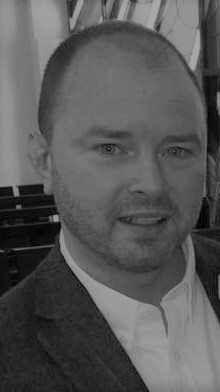 Kevin Lennon, Head of Operations & Market Access at OUTiCO, shares his definition of market access and the key to success. How would you define market access? Across the industry, there are numerous interpretations of what market access is. For me, it’s the ability to remove complex barriers to prescribing, identifying value for the NHS, and creating an environment that enables a brand to be appropriately prescribed for the right patient. Market access is everyone’s responsibility – we all must create value and a strong enough reason why! What is the key to successful market access? The key to success is about getting the right messages, to the right stakeholders, at the right time. And, it’s all about the preparation! You need to take the time to identify, and effectively engage, all stakeholders that will influence the uptake of your brand. It’s important to really listen and understand their needs and challenges. Where does your brand add value? And what additional value ‘beyond the pill’ you can you provide? What are the key challenges that you see companies facing? The NHS has changed drastically over the last few years and we’re seeing companies struggle with decreasing budgets and tighter time restraints. Things have changed, and they will continue to do so. As time is increasingly precious, the question is, how can you engage? OUTiCO understands how to access those customers and has the tools to navigate increasingly complex health economies. We also have the competence to understand local and regional challenges – we deliver high quality, valued calls using language that resonates with customers. 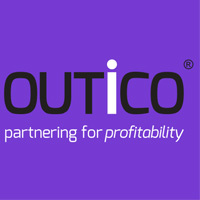 How does OUTiCO approach Market Access? We recognise that Payers are individuals, and it’s imperative to adapt our approach to successfully engage with them. For example, not all Payers will respond well to the telephone, some will actually prefer an email. Customers are getting younger as well, so they’re more accepting of new technology, which is why we also get a positive response to online (virtual) meetings. We often hear good feedback from Payers who appreciate that their time and preference has been taken into account – it’s refreshing! The professionals in our Market Access team have, on average, over 17 years’ experience of Payer customer networks – and a solid understanding of NHS processes. This enables them to quickly and effectively access the relevant stakeholders. By being effective multi-channel communicators and negotiators, and putting their customer’s preference on how they would like to engage first, it means we lead the way in shaping how the next generation delivers market access. How do you remain cost effective? By providing flexible resource, dedicated to brands, when they need it, without compromising on quality. Our model supplements traditional face-to-face interactions, with effective use of telephone, emails and data-file sharing to increase access with customers – much-needed tools in a time-starved world. We provide high quality, multi-channel communicators, who educate Payer customers about alternative ways to communicate. And by using different channels, these sales professionals can successfully engage with Payers, whilst accelerating productivity, and remaining cost-efficient.